CGDME, Raipur has started the online registration for NEET UG 2018 counselling for MBBS/BDS admissions. 20 June 2018: Directorate of Medical Education (CGDME), Raipur has started the online registration process for the Chhattisgarh MBBS/BDS admission counselling. The admission will be done on the basis of NEET UG 2018 score for government and private colleges in Chhattisgarh. The online registration process began on 18 June (10:00 PM) and the last date to apply is 26 June (11:59 PM). Candidates who have qualified the NEET 2018 exam and meet the state counselling eligibility criteria can apply for the online counselling registration through CGDME official website. As per the official notification, candidates applying for 85% state quota counselling should meet the domicile criteria along with other NEET eligibility criteria. Through the registration process, candidates are required to fill their respective choices for colleges. No separate schedule will be provided for the choice-filling process. Go to the official CGDME website - http://cgdme.co.in/. 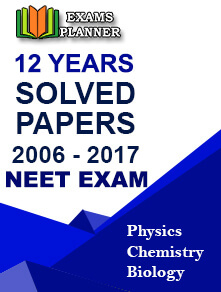 Click on ‘NEET CG UG – 2018 (Registration)’ button at the top of the home-page. Click on ‘click for registration’ link. Fill the registration form by providing details such as application number, roll number, NEET marks, DOB, and contact details. Click on ‘Submit’ button. Complete the registration process. Fill choices and pay the registration fee for online counselling. The online registration facility for Chhattisgarh NEET UG 2018 counselling will remain open only before the first counselling round, so candidates are advised to register within the given time period.